Home•Which Tactical Training is Right for You? You have decided that you need to start tactical training. Regardless of what your motives may be, congratulations. The first step is always the hardest. 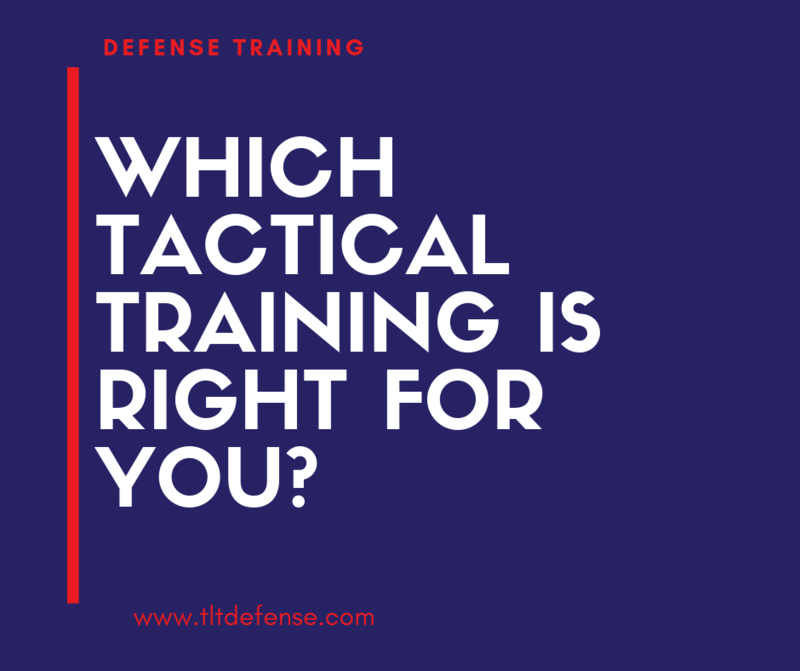 But more challenging questions need to be answered: deciding which type of tactical training is best to keep you, your family, and your co-workers safe. Below is a list of six different options (although there are more out there), and the aspects of each you should take into consideration. Active shooters can happen anytime and anywhere. No one is safe from them–but you already know that. 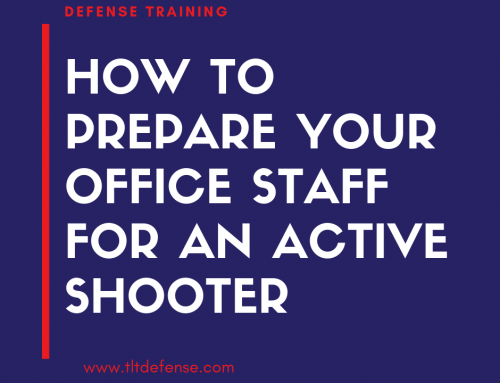 What better way to prepare you, your family, and your coworkers, than to have active shooter training in your everyday environments. This could include your home, gym, school, office, or even your preferred grocery store or bank. Practicing in a real-life, real-time simulation is one of the best ways to prepare for the worst. Take for example any kind of sport or competitive training. You’ve heard the expression, “you have to practice like you play, if you expect to win.” The same concept works with training your survival instincts. When your brain switches to the “fight, flight, or freeze” you won’t have the ability to think strategically. Instead, you’re going to do what your brain feels like will help you survive. Building muscle memory will ensure that your survival instincts are at their peak level. Take a few days out of the month to hone in your skills. Take it seriously and put a lot of thought into each possible situation. In spaces with a lot of people, go through training scenarios dozens of times. Single people out and make them think on their feet to see if they are ready. That is the best way to tackle active shooter training. As we mentioned above, scenario-based training goes hand-in-hand with basic active shooter training. The muscle memory obtained through active shooter training will be enhanced by educating yourself on how shooters think. Learning how shooters travel through schools, offices, neighborhoods, or anywhere else puts you one step closer to safety. Go through scenarios with family, coworkers, neighbors, or your kids in school. Just like you would a natural disaster plan or a fire drill. Practicing how to deal with these situations together–as well as alone–will build your confidence in each other and establish leadership and subordinate roles ahead of time. In some cases, you might be the student in the classroom–who needs to listen. In others, you may be at work or in the role of support staff, so you’ll be accountable for your people. Determining what role* you will play–will you call 911, take accountability, notify people in the building–will absolutely save time, and time equals lives. If you don’t feel at ease with the previous options, perhaps something with consequences might be up your alley. By consequences, we are not saying to have an actual shooter come into your workplace. Rather, we are suggesting using laser training, or even paintball, to make the stakes feel real. Particularly when you would rather not get shocked or hit by a paintball. Having mild doses of pain will help those involved in the drill understand that hesitating, going the wrong way, or not fulfilling their role, will result with the severity of being injured or killed. Laser training takes more time and resources to implement in a safe and controlled environment. It takes skilled trainers who have the proper techniques set to simulate a live fire scenario. If laser training seems a bit daunting, consider how the military operates. Our combat troops create lifelike scenarios that they run hundreds of times before they deploy. That same unit is expected to work cohesively together, complete their mission, and get home safely when it’s more than a drill. These are the professionals that we expect to train at every expense. It makes sense that we should do the same. Picture this: sitting at your already mind-numbing desk job staring at your computer screen. It’s too cold in your cubicle, and you’re already grumpy because you spilled your coffee walking in the door this morning. But your day just got better when you pulled up your online active shooter training! For some individuals, computer training is a snooze-fest, but for you, it’s that breath of fresh air you desperately needed on a Monday morning. With active shooter training done online, you are able to focus on your individual decisions as the program will make you choose what to do. There’s also the added benefit that there are no real consequences with virtual training, it saves money, time, and resources. All that to say, there are more negatives to choosing virtual training. These programs make it difficult to work in large groups, establish confidence in your peers, and determine preset roles. Yes, there are new techniques with virtual reality that enable large companies to practice active shooter drills from the safety of their desk. Yet, that does not mean that each person will be accountable for taking the training seriously, learning, and doing their part. As opposed to carrying a firearm, carrying a knife has unique benefits that work for almost all people from all walks of life. Imagine giving your 12-year-old daughter or granddaughter a sturdy, Benchmade pocket knife, knowing she will be safer with it. She can carry that knife for protection for decades to come. Pocket knives make for a great choice in the personal protection world, especially for women who want an upper hand in a physical altercation. We all know the saying “don’t bring a knife to a gun fight,” and that’s not what we are telling you to do. However, in many cases, learning how to conceal a knife and gain access to it quickly, has saved more people than you might think. Even with a gun pointed at you, at close range, you still have better odds of protecting yourself and others with a knife handy. Take the 21-foot rule, for example. Essentially, it says that when an assailant wielding a knife is closing in, they will cover 21 feet in the time it takes you to draw and fire your gun. That’s a lot of pressure on the person drawing a gun. With knives, the trick is to not reveal your leverage before you have the opening to use it. Taking classes on hand placement, quick access, and not freezing when it comes time to use it, are all essential to using a knife as a weapon. Just like any other tool, people still fall victim to user error with knives. Last, but not least, getting your conceal carry license. Having a gun against someone who also has a gun (Cue the lyrics “Janie’s got a gun”) has the best chances for success and survival. However, just like with pocket knives, guns are even more susceptible to user error. If you choose to go with firearm training, this will be the more expensive and time-consuming choice. But, nothing worth it ever comes easy. To start firearm training, countless hours will be spent at a shooting range. Practice with more than one firearm–you need to find one that feels like an extension of your body, not something awkward and uncomfortable. You’ll need to send hundreds of rounds down range before you move on to concealed carry practices. These will need to be done with a certified instructor and usually done in a group setting. Then it advances to moving targets, tactical practices with the real firearm, learning to prepare for use of a defensive firearm. All of that sounds intimidating, but it doesn’t have to be! A fun and competitive way to practice self-defense with your firearm is the International Defense Pistol Association. 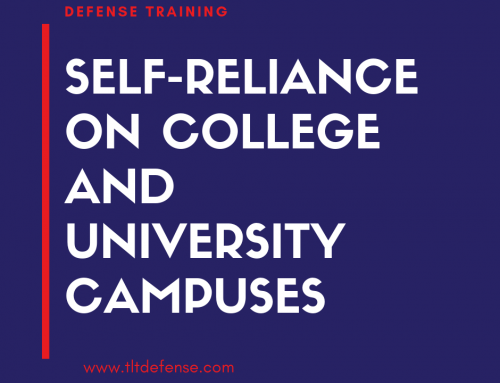 These competitions are 100% safe, engaging, and filled with a community of people that will happily help you get ready to defend yourself and those around you. *The author is NOT implying here that it is your job to put yourself in harm’s way.